2010 was a big year for Google’s Android mobile operating system, as it moved at a lightning pace from a minority position into the position of most popular operating system in the United States. Still, when retrospectives are put together for “best apps of the year” lists, editors often make choices that seem obvious. We’ve put one together for 2010 that hopefully avoids the more self-explanatory choices. LOCi — This GPS tracking app is available for $2.99 in the Android Market, but has the option for a $29.99 annual subscription mode that lets you switch on private, real-time tracking. This lets one user track another user’s location live through a desktop Web browser without sharing that location with anyone else. It’s a feature not available on the iPhone version of the same app, and is actually surprisingly useful. LOCiMOBILE has 3 apps in the Android Market. Each answers the “where is question.” The first, GPS Tracking – This app allows users to share their location via SMS notification. 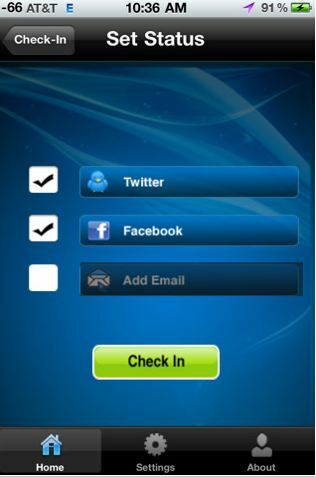 The app offers privacy through an opt-in Yes or No whether to share your location or not with each location request. The second, Phone Tracking – a theft recovery lost & found App that is designed to work in the background and can be activated to turn on remotely in the event you misplace your phone. You can activate the real-time tracking and recovery feature by texting your phone. You can also track your phone by logging on to www.gpstrackingapps.com.